I parent biological and adopted kids. Preparing children for their new sibling, whether biological or adopted, is very similar. However, there are additional topics that need to be addressed regarding the arrival of the adopted sibling. Reality is different from fantasy. Initial excitement may evolve into other emotions, such as jealousy and sadness. Your child may act out as reality sets in. He may pinch his new sister, throw temper tantrums frequently, or regress by insisting on a sippy cup or wanting to be diapered. Realize that there will be less of you—energy, patience, and time—to go around, especially during the first days, weeks, and, sometimes, months home. Additionally, you will likely run into other challenges because you are juggling more kids. Prepare early and often. Ask your child how he is feeling. Address and do not dismiss negative feelings, because those are normal. Explore the sibling’s culture of origin through age-appropriate books, games, and videos if adopting internationally or transracially. Allow your child to be your helper. I found this particularly effective although I had to scale back when my then three-year-old was trying to change diapers. Positively reinforce your child in front of others. Ask grandparents, aunts, uncles, and close friends to help with this as well. Transition your child into his new bed or room well in advance of his sibling’s arrival, not afterward. Ask anyone visiting to bring a small age-appropriate gift for your child if they are bringing one for the new arrival. Role-play with your child, what it will like when his new sibling arrives. Use a stuffed animal or doll. Help your child with the answers to the questions he is likely to receive. 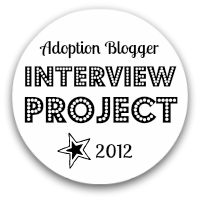 Older kids may ask more questions about adoption and its process. Be honest, but do not share the adopted sibling’s story. The adopted child’s story is theirs and not to be shared. For example, my five-year-old son asked a lot about his sister’s birth mother. He was concerned about her and her emotional state. Assure your child that your relationship with and love for him will not change. Try to schedule one-on-one time to listen and share with your child. Have Dad, another family member, or trusted friend watch the new sibling after your new family member is home awhile. Your child will feel loved, and this is the greatest gift you can give him. For Discussion: What other ideas have you for preparing your child for their adopted sibling?